Lasagna Soup By Jaclyn from Cooking Classy. It tastes just like lasagna but in soup form, so how could it not be a new favorite? 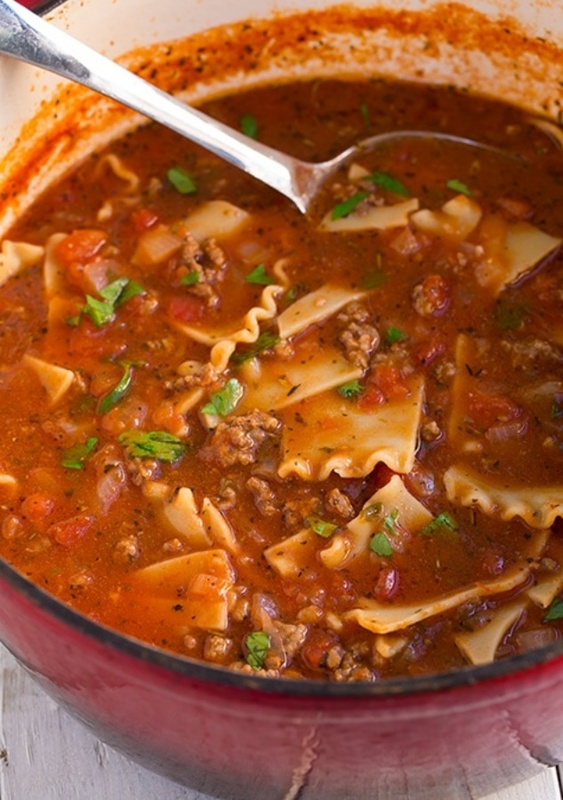 With this delicious Lasagna Soup recipe you can use half Italian sausage in place of half of the ground beef.